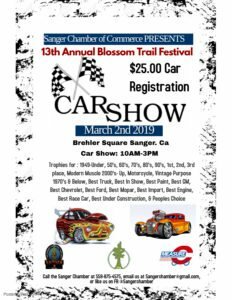 Hello Everyone Join Us on March 2nd to our 13th Annual Blossom Trail Festival Car Show! 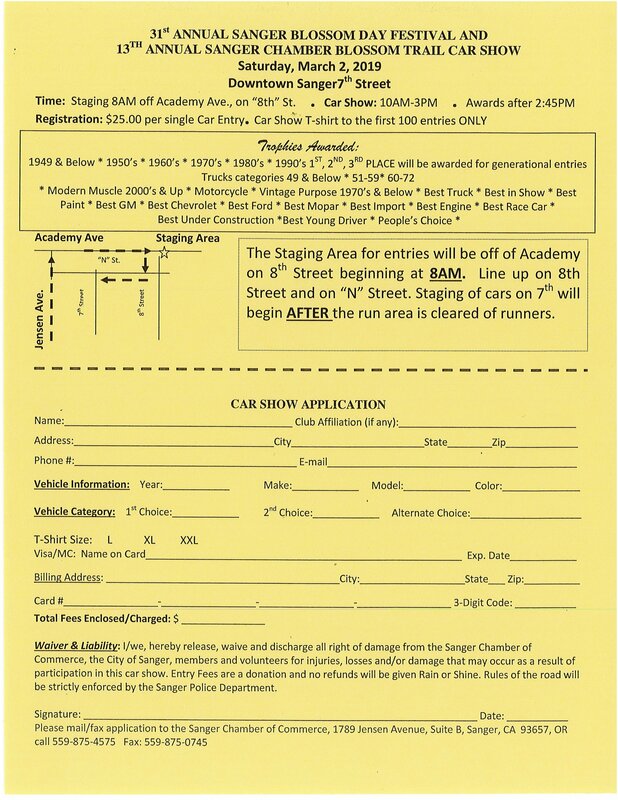 Car Show staging is at 8am on Academy and 8th Streets. Car Show times: 10am-3pm. $300.00 Award For Best Car in Show! 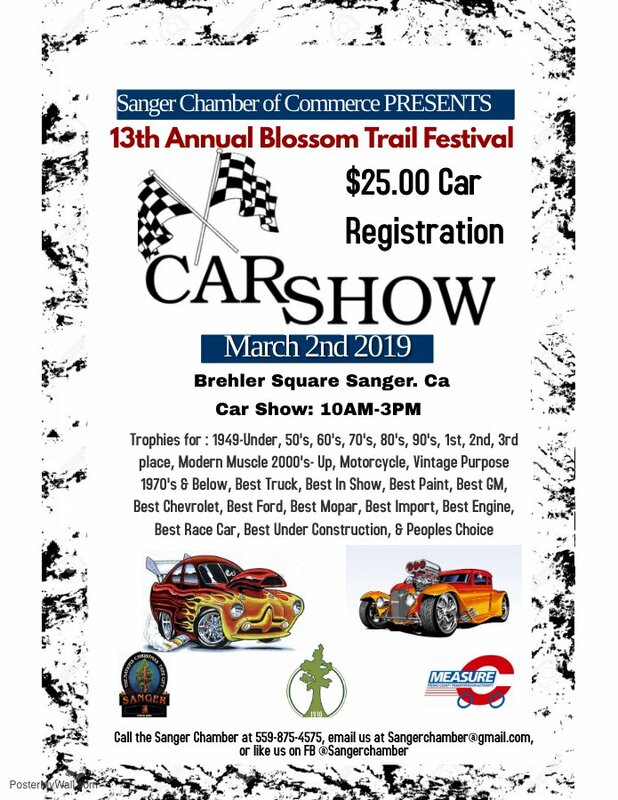 For more details call the Chamber of Commerce in Sanger at 559-875-4575. 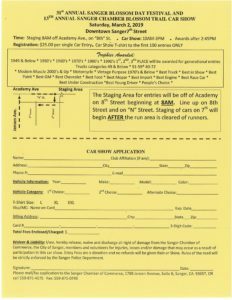 Limited spacing so register as soon as possible!